Are you doing all you can to make sure your boat's hull is clean and efficient? A regular diver service can help. Let’s admit it: We don’t always want to take the time or spend the money to get our boat’s hull cleaned, yet to skimp on it regularly, especially in Southern California, is a surefire way to slow you down in the water. And that’s where there pros come in. While there are a number of independent divers who’ve been at the task for years, there are also fly-by-night cleaners hanging around marina docks with their hand-lettered fliers touting their ‘years of experience’ but who end up being, well, flaky or worse. Chats with people on the docks reveal many boat owners who have tales of prices and promises too good to be true that, indeed, were. Because admit it, nobody wants to putz along in the water dragging the barnacles below, nor does anyone want his boat’s hull integrity compromised. Those mussels — a spike in zebra mussels was predicted this year — hard and soft algae, barnacles and unwanted crustaceans aren’t anything boaters want breeding on their hull. And then there’s the saltwater toll on underwater metal parts. You may know it as galvanic corrosion. 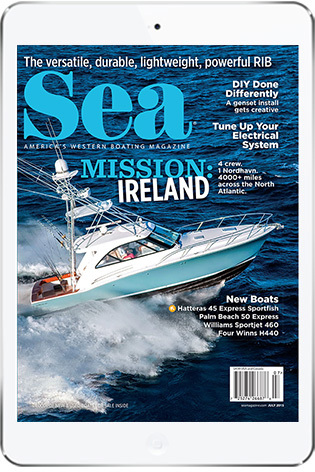 And when boat owners who majored in chemistry, or at the least paid attention in class, start spouting about galvanic corrosion and electro-chemical reactions, this writer knows it’s time to let the experts speak. In San Diego, one of the premier hull cleaning service companies is Dockside Divers started in 2005 by San Diego native Brian Hall. It has grown exponentially and is now considered one of the city’s premier hull cleaning and topside care companies. In 2016 the company added partners Jarryn Hallare and Ian Murray, who had been with Dockside Divers since 2012. Hall estimates they clean approximately 600 vessels every cleaning rotation, which in summer is 21 days; it’s 28 days from November through April, and the company’s Shelter Island location makes it visible and convenient to Shelter Island marinas and yacht clubs. 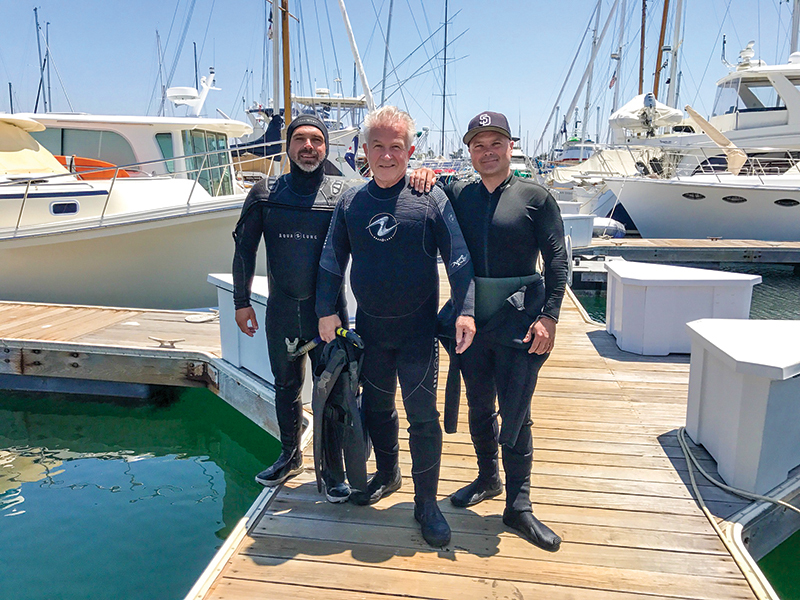 Hall said the company is proud to employ some of San Diego’s best divers, all trained to the rigorous standards of Dockside Divers and the California Professional Diver’s Association’s Best Management Practices (BMP). He said he realizes not all boaters understand that an important and elemental component of their hull cleaning service is an inspection of all sacrificial anodes. He explained the sacrificial anodes, installed on most saltwater vessels, are sacrificial because they’re used to sacrifice themselves to protect other more valuable underwater components on the boats, such as steel, brass and aluminum — metals more noble on the Galvanic Scale. Anode replacement varies according to the boat make, model and location. 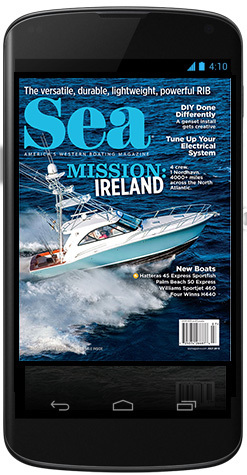 “Having an educated/trained diver inspecting the anodes regularly is critical, and Dockside Divers includes the status of the anodes in our cleaning and inspection reports, and we replace anodes when needed and recycle the old ones,” Hall said. I have long appreciated an analogy shared by CF Koehler in a 2015 Dear Krabby column, one that he still pens for the San Diego Yacht Club newsletter. It compares anodes to horseradish. Yep, you read that right. See why that stays with me years later? And then there are the organisms, including nasty creatures like those various and highly abundant tube worms and other hull-fouling species of concern to Southern California marinas. A study by the University of California Cooperative Extension (UCCE) found more than 40 fouling organisms in two study sites: the inner and outer ends of Shelter Island Yacht Basin on San Diego Bay, and Santa Barbara Harbor. It determined the amount of fouling to be “significantly less” in Santa Barbara, which doesn’t bode well for boat owners in Southern California. It also determined in the 2012 study that some non-native invasive species were found to be tolerant of copper paint, which has been the saltwater boater’s go-to in the past. Stepien, who works with his sons Artur and Tomasz, was a part-time rescue diver in Poland and worked in a copper mine. All are members of the Independent Professional Divers and work for brokers and private clients in South Bay, San Diego Bay and Mission Bay. Besides invasive species tolerating copper, there remain other risks. These hitchhikers can be transported to other waters and marinas the next time you head out for a spin, and, if not tended to by regular cleaning, can cover a copper-painted hull and thus offer a piggyback ride to the copper-sensitive species. So, do copper antifouling paints continue to control organisms, even invasive species? “There has been some adaptation to copper paint by organisms, but primarily the copper content has been reduced, which makes the paints’ antifouling properties less effective and requires more frequent cleaning” Hall said. To combat those nasty fouling organisms, a UC Cooperative Extension/Coastal Resources research piece recommends frequent and gentle cleaning to extend the life of hull coating and reduce the risk of spreading non-native fouling species. And what about the study from Australia’s James Cook University that suggested in-water hull cleaning might stimulate fouling growth? Andy Anderson of Orange County’s Anderson Hull Cleaning — marking 30 years serving Newport Beach, Huntington Beach and Dana Wharf Fishing Fleet — says, no, that’s not the case. The Santa Monica-born Anderson started diving and cleaning hulls at age 16 when his dad had a 34 Californian in Newport’s Dunes Marina. In 1987, the youthful entrepreneur became a union electrician, and for the next 32 years did his hull cleaning business on the side. He retired from that and in 2007 started Anderson Hull Cleaning. He now has five employees and more than 425 boats on a 30-day year-round hull cleaning schedule. For hull cleaning, Anderson’s company uses 150-foot hookah hoses attached to any of his six 13-foot Boston Whalers. 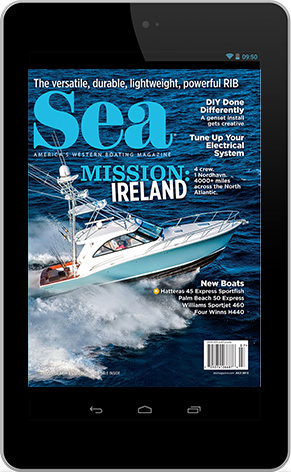 The bottom line, no pun intended, is you need to schedule regular hull cleaning, for many reasons including the very life of your saltwater vessel.